Anyone who knows me knows that I'm frugal. D would say I'm cheap, but frugal makes it sound so much nicer and like I actually put thought into my purchases. And I do. This time last year, I hit a huge sale on laundry soap. I was able to get about a year's worth for under $5! It was amazing. Sales like that don't come along often. There hasn't been one that good since. About two weeks ago, I ran out of laundry soap. I've heard a lot about people making their own and it being very cost effective. I did the math and I can get about a month's worth of laundry soap for about $1! It didn't take a math genius to figure out that I wasn't going to coupon laundry detergent for under $1 very often. And I did. The recipe I used even got Danger Girl stains out of her pants. And Danger Girl is rough on her clothes. Anything that can get grime out of her laundry is worth it. 1 bar of soap, shredded. Mix together in a bucket. Use 1-2 T per load. Since that was such an amazing success, when I ran out of dishwasher soap over the weekend, I figured I'd give homemade dishwasher soap a whirl. In order for IT to be cost effective, I'd need it to be under $2 for a months' worth. I found lots of different recipes, many calling for citric acid. A few called for using Lemon Kool Aid in place of the citric acid. Yeah, that's more my speed. It's pretty much the same players as for the Laundry Soap. Mix in a bowl. 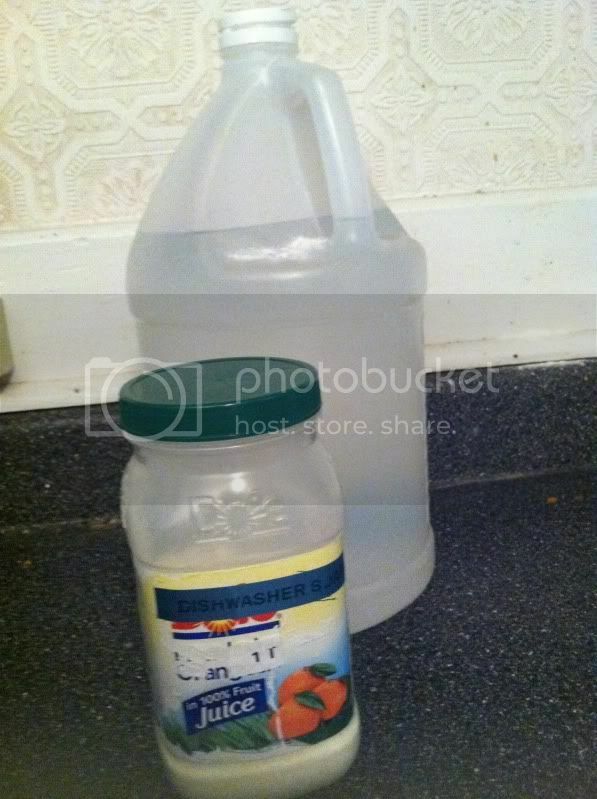 Use between 1-2 T tablespoons in each load, split between the cups. The amount depends on how hard or soft your water is. I can get away with 1 T each load. Use vinegar as the rinse aid. Some people have had problems with this, saying it leaves a film. I really think it depends on the quality of the water. We have a lot of crap in our water and haven't had a problem. So if you have "good" water where you live, there might be difficulties with this. What natural cleaners should I try next? Thanks for the tips...I'm going to try both of these recipes out this week. 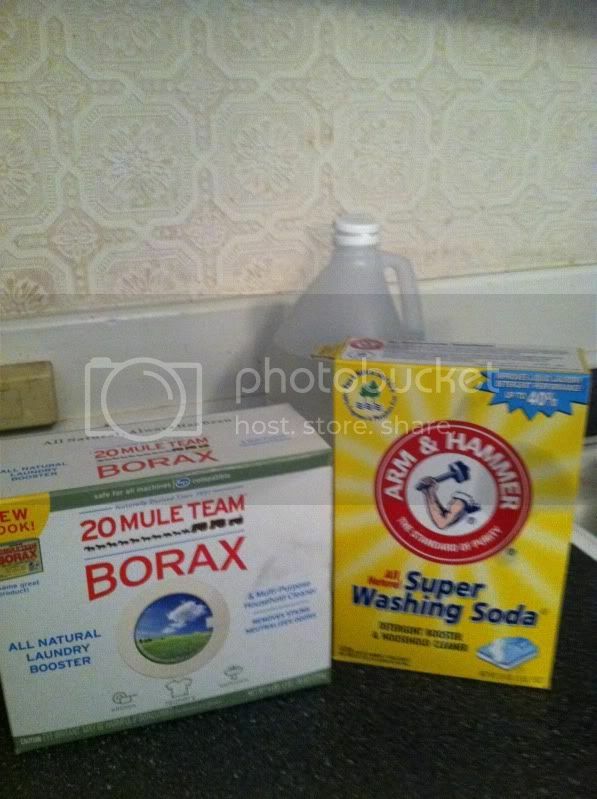 I love finding thrifty alternatives to the increasingly expensive cleaning products out there.